The Stephens Davis Branch Library, longtime contributor to the Campus Community Book Project, presents Aguas Frescas, a monthly series where participants are invited to drink aguas frescas (Spanish for cool waters) while creating a maker-project of something beautiful to set free for the whole community to enjoy. 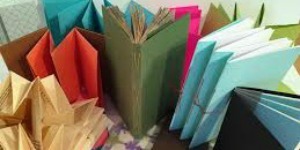 This month;s theme is book making. The 2018-19 book project features a yearlong program around The Book of Joy: Lasting Happiness in a Changing World by the Dalai Lama, Desmond Tutu and Douglas Abrams. For a complete listing of events, visit ccbp.ucdavis.edu.